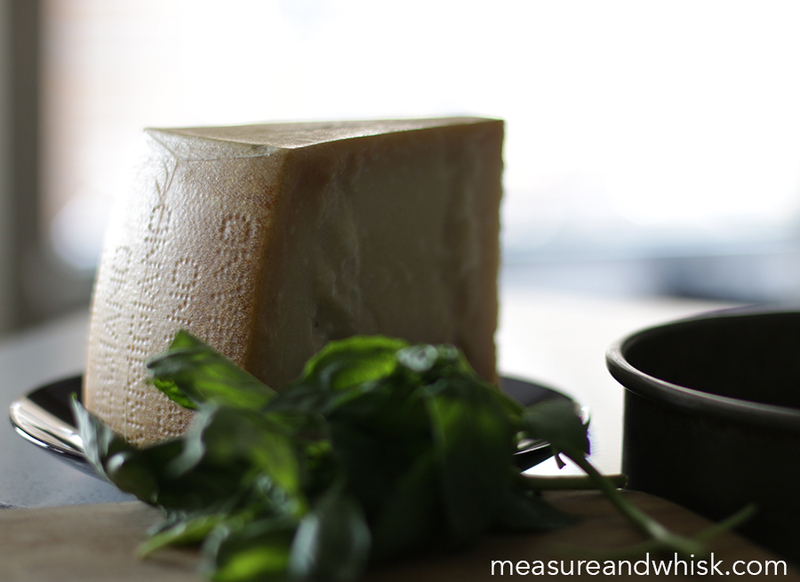 I am a brand ambassador for Parmigiano Reggiano and this post is in collaboration with them! They provided the cheese, and I came up with the recipe. I used to think that all food was created equal. I always bought store brand everything, and was very unwilling to purchase organic and natural foods, because I felt like it was all a scam. Some of it might be a scam to get more money from customers, but these days, there are certain foods for which I insist on paying a little more, in order to get a higher quality product. For example, a few years ago, I went to the grocery store and decided to splurge on a more natural bacon. The kind that is $6 for 12 thick-cut, applewood slices. I was worried that it would end up being a total bust, and that I would quickly learn my lesson and be back to my $2 for 24 slices variety. However, this bacon really was different than its cheaper counterpart. It was incredibly good, with a great chewy/crispy texture. I found that when I used this nicer bacon, I needed less bacon per recipe, with greater results. The bacon was more expensive, but I was totally getting what I paid for: better! Not every natural product is like this of course, but I have found that the other area where I tend to splurge is cheese. Cheap cheese tends to be rubbery, flavorless and just plain cheap-tasting. If you go for a slightly more expensive cheese, you almost always get a significantly better flavor and texture. 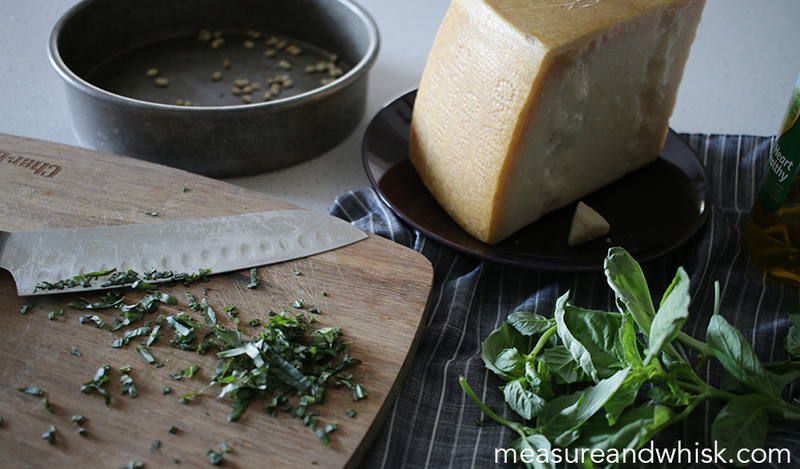 A few years ago, I started buying Parmigiano Reggiano® and was astounded by how long it would last and the intense flavor it would give my dishes. I would usually buy a small block (maybe 4-6 oz), and then use it for a month or so in a variety of dishes. It was great for a few tablespoons here and there to top a pasta, or for a little added something on a salad. It really made such a difference in my recipes. Parmigiano Reggiano® isn't a brand exactly; it is a group of 350 cheesemakers from Italy who have trademarked and protected their cheese so that they are the only ones who can make this specific kind of cheese. This means that any true "Parmigiana Reggiano®" that you purchase comes from Italy and has been certified as a spectacularly high quality cheese. Trust, me, it is fabulous. You can tell that it is the real deal from the pin dots on the rind (you can see them below in a few of the photos). This 'true Parmesan' can be purchased at good cheese shops, Whole Foods, and most large grocery chains. In fact, when I was in California last weekend, I saw some giant Parmigiano Reggiano® wheels in the cheese department at a local Ralph's grocery store, and had a little glowy moment when I thought of all the delicious food that could be made with that much cheese. Pop your popcorn, put it in a bowl, top with a wire cooling rack, and shake it over the sink to remove unpeopled kernels (this is optional). Drizzle the olive oil over the top, tossing with a fork while you pour, so that the oil is evenly distributed. 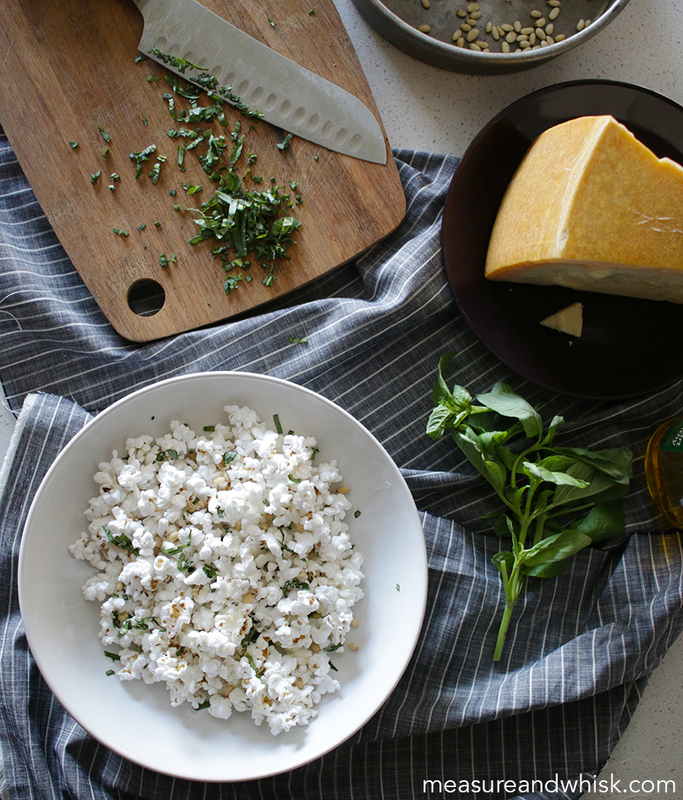 Quickly add the parmesan so that it will begin to melt over the still-warm popcorn. Toss in the basil leaves, and the pine nuts, and serve immediately! this looks AMAZING! 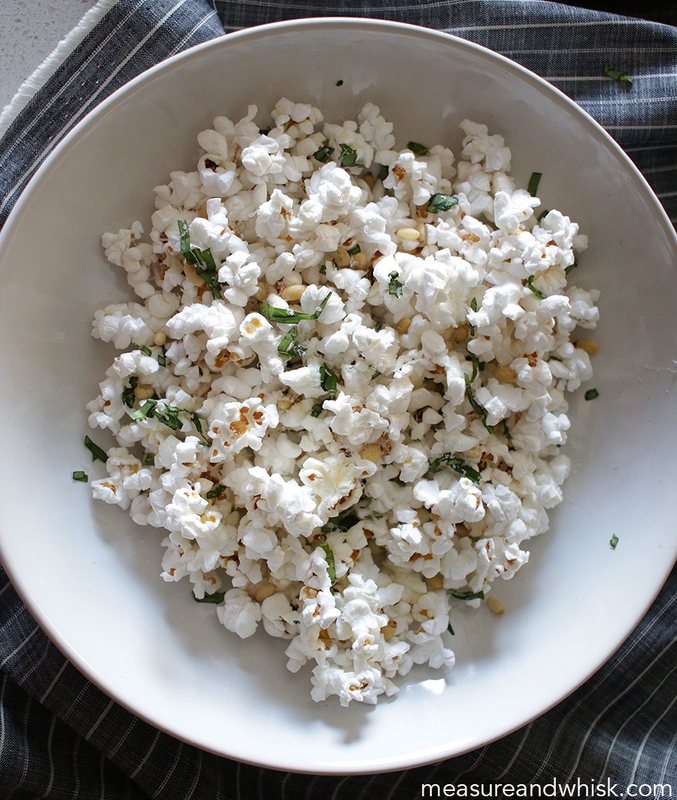 I love popcorn and I'm always looking for a new way to eat it. yum!